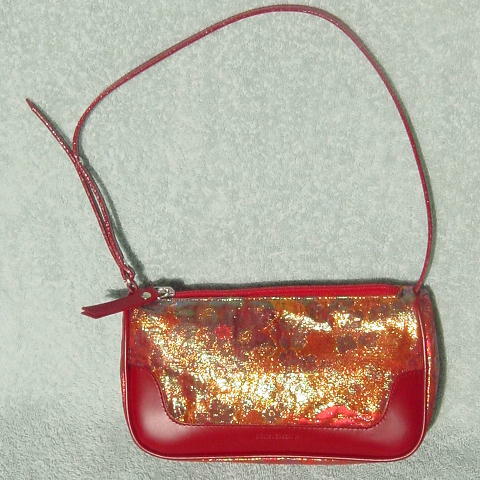 This never-used fabric and leather evening purse has a top side to side zipper with red leather pull. 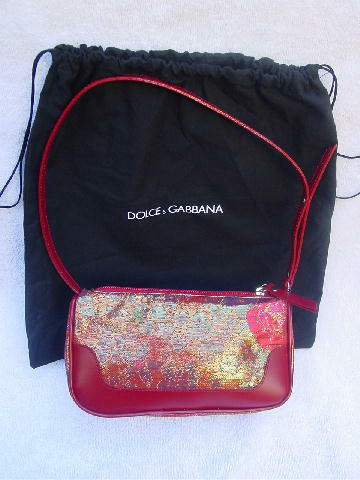 The lining is in a light red fabric and there is an open pocket with a leather tag that has Dolce & Gabbana Made in Italy etched on it. 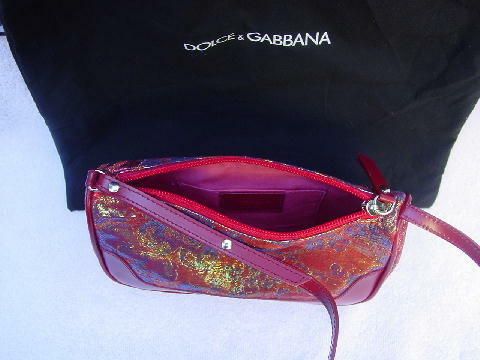 The exterior fabric has a floral pattern in red and metallic threads of greenish-blue, golden-red, gold, and red. The leather is in a dark red. 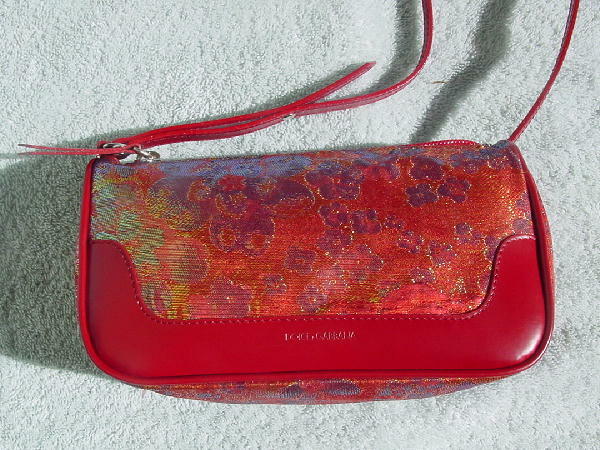 It has a 21 1/4" long by 3/8" wide leather strap and Dolce & Gabbana is etched on the bottom front. She bought several identical ones in 2 different sizes to use in a magazine photo shoot.